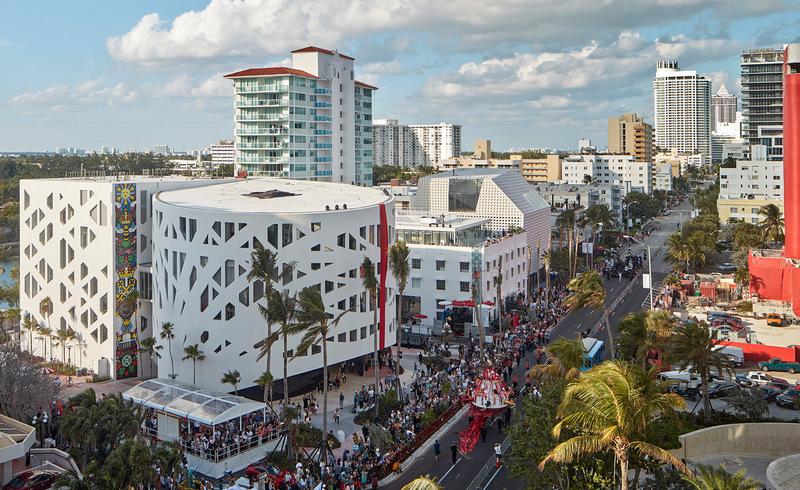 Alan Faena and Ximena Caminos, the partners in business (and in life) behind the mammoth Faena Arts District, wanted to kick off Design Miami and Art Basel Miami Beach with a bang. The result: Once With Me, Once Without Me, a collaborative performance that took place this week involving choreographer Pam Tanowitz, dancers from the Miami City Ballet School, music by Dan Siegler, costumes by fashion designer Sybilla, lighting by Davison Scandrett, and scenography by the building’s architect, Shohei Shigematsu of OMA. 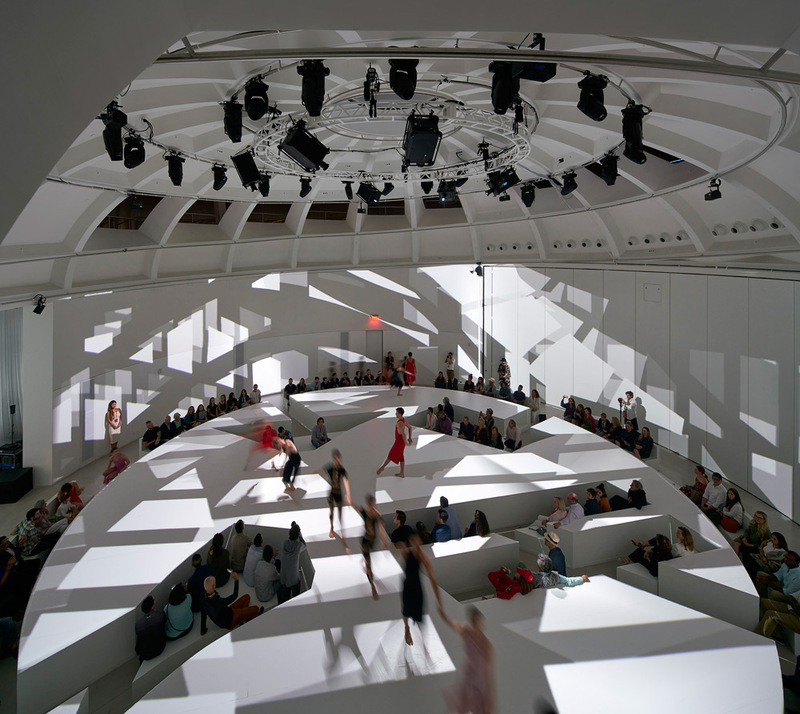 To highlight the cultural space and multipurpose venue, which features a round room topped with an asymmetrical gridded dome, Shigematsu — who has also designed scenography for artist Taryn Simon and exhibition design for ’Manus X Machina’ at the Met — conceptualised a white round stage with segments cut throughout in order to seat guests and create a sense of interaction with the movements of the modern ballet. ‘The scenography is basically recognising the feature of architecture to a full extent,’ explained Shigematsu. The building’s extensive fenestration played a starring role within the performance, with Scandrett creating a lighting arrangement that used the angular openings to create a backdrop. ‘It’s a kind of virtual shadow and light that is a fast forward within a space, so it’s almost like making time and space almost projected in the actual architectural space, and actually recognising the feature of the space, and then the choreography happens with that,’ said Shigematsu. Towards the end of the performance, which took two years of planning, came the big reveal — the movable wall that divides the space opened, and the dancers flooded through, followed by the audience, and guests could see the venue in its entirety. ‘We wanted to make the piece very specific to the building design, and also specific to this location, and the movement of the sound,’ said Shigematsu.